We’re proud to be helping host GBJAM 5. A 10 day game jam where you create a GameBoy themed game. This means a resolution of 160px x 144px and only 4 colors. The restricted rules are a great way to keep scope manageable while still having opportunity for a lot of creativity. 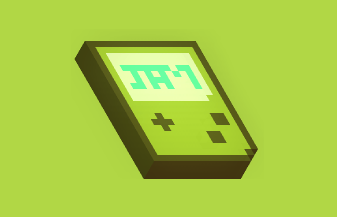 GBJAM 5 is hosted by @retrostark. You can join any time up until the submission date, but we recommend joining as soon as possible to ensure your account is ready. Submission is only a few clicks after you’ve registered. 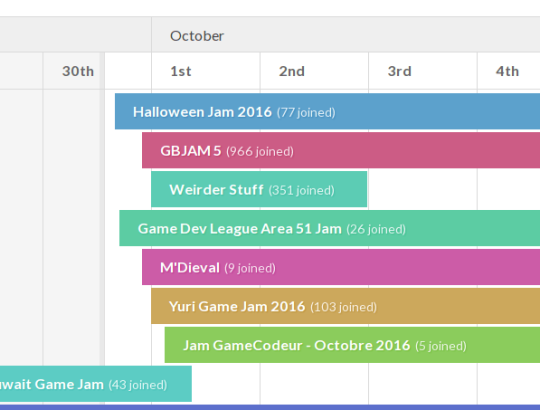 The GBJAM 5 community is already quite active, with discussions about strategy, tools, and forming teams. Check it out. If you’re curious, you can browse previous GBJAM entries uploaded to itch.io to see the kinds of things people have made.